Short customer satisfaction surveys are popping up all over the place. They help brands continually check the pulse of customer satisfaction and gain targeted, real-time feedback on products and services. Formulated in Frankenstein fashion from various business departments each hungry for data – not transparently looking to benefit the customer experience. Apps, social media and the digital demands of the Millennial generation appear to have changed all that. These behaviors are heralding a new wave of simple customer satisfaction surveys that ask – on the face of it – very little. And with the prevalence of single question surveys hitting new heights, it literally couldn’t be simpler for customers to respond. New survey designs are making maximum use of iconography – emoticons, emojis, etc. – to stimulate responses. The result is customers are only being required to engage the most basic cognitive thought. As if to prove to the point, clinical researchers in Italy have developed a way of using emojis to help patients with neurological disorders. It goes to show that emojis’ role as a throwaway form of communication doesn’t make it any less effective. The rise of the emoji in popular culture has given birth to a Hollywood movie and even an annual World Emoji Day (who knew?) that takes place each July 17th. This has coincided with considerable adoption in short customer satisfaction surveys. The signs are that emojis will increasingly matter because of their popularity among young users, with under 24-year-olds making up about 86% of emoji users on Twitter. The other trend feeding into the uptake of simple CSAT surveys is the increased appetite of consumers to share their experiences. On one level, the quick survey is a logical extension of the tweet, snap or Instagram post. On another, it feeds into a desire to contribute to published ratings and scores – the TripAdvisor and Amazon reviews ‘wisdom of crowds’ effect. Again, it’s the younger generation who are most likely to drive these behaviors. So let’s look at some examples of how short CSAT surveys are delivering a win-win for consumers and brands alike. Skype is the very definition of a commodity service and millions of people rely on it every day to just plain work. Good or bad, users feel confident that their feedback is being used to improve the overall service, so that their next experience is likely to work better. The feedback request happens instantly, so feedback is accurate and response rates are optimized. It also means Skype can precisely correlate experience ‘outputs’ against its technical ‘inputs’ in real time. 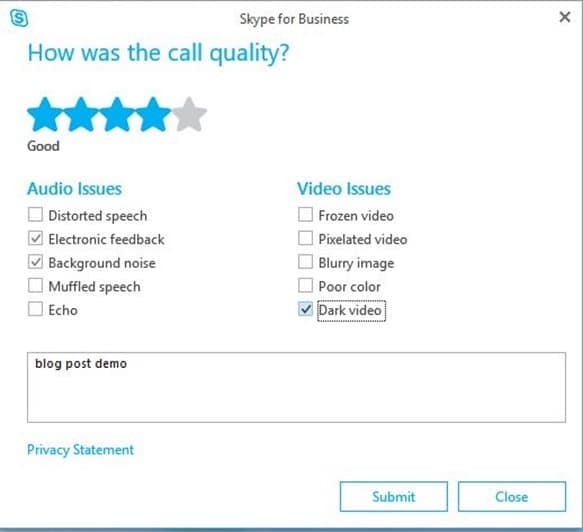 Skype gets to remind users that it is listening to customer concerns and committed to act upon new insights. People have been taking taxi rides from relative strangers since ‘cabs’ were pulled by horses. But now that Uber has revolutionized the market, a key part of the app-driven experience remains the ability to score your driver. That way you incentivize their courteousness and puncuality. Like Skype, Uber’s feedback and research machine swings into action as soon as a ride is successfully completed. 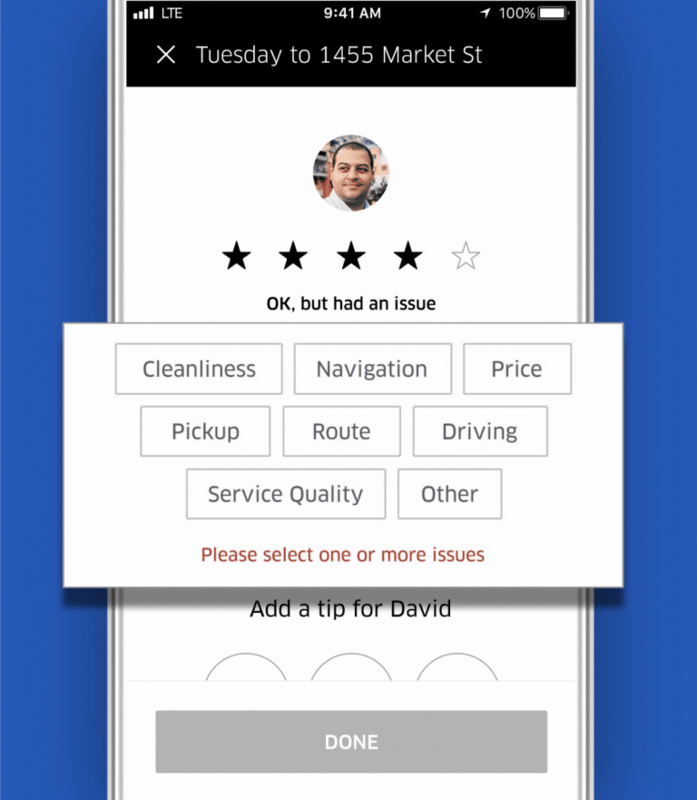 And, similarly, instead of being confronted with a laundry list of questions about the quality of the experience, Uber cuts to the chase with a more ‘bite-sized’ approach. Car protection and detailing brand, Ziebart, uses quick-fire surveys to gauge the satisfaction level of customers using 800 of its franchisee outlets. This mode of survey is particularly useful in franchise operations, as it targets improvements in overall customer sentiment as well as acting as a reliable metric for individual franchisee performance. And again, similar to the other examples, it rolls into action immediately following the in-store transaction, with an email containing a simple scorecard for collecting in-the-moment feedback. Need a short customer satisfaction survey for your business?